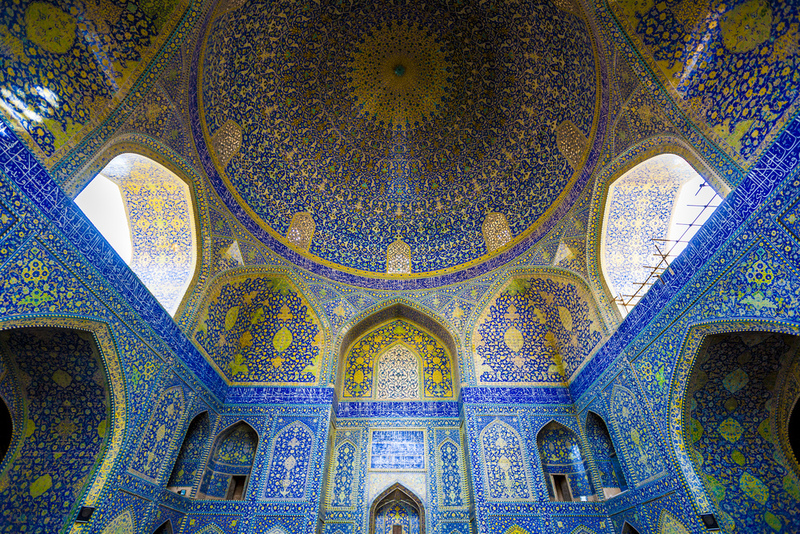 On the subject of beautiful Iran, I want to share with you some of the fantastic art contained in the mosques and palaces of Isfahan, one of the many historical capitals of Iran. 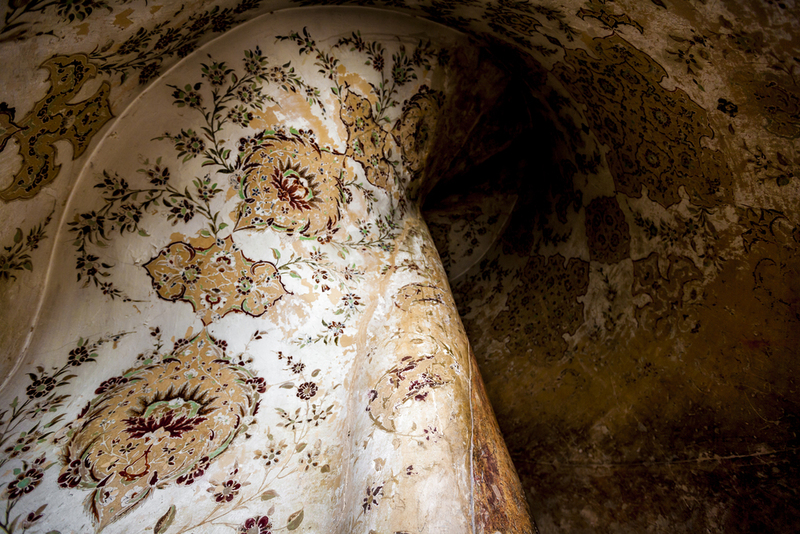 I visited Isfahan in 2009, and recent events have me looking through the images again and wondering at the beauty that was created there. Some of the designs are so intricate, it's amazing that they were made by people. A long, long time ago. I could have just stayed there all day gawking at the majesty of classical Persian and Islamic art and design. A group of Iranian schoolgirls tours the great mosque complex at Isfahan's palace square. 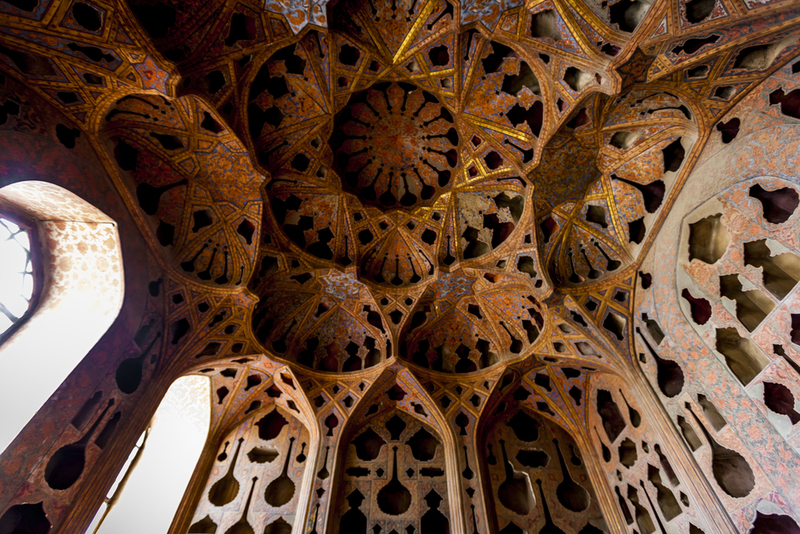 A ceiling was under restoration at the 40 Pillars Palace (Chehel Sotoun) in Isfahan. Since I visited six years ago, the interior of this palace has been almost completely restored.